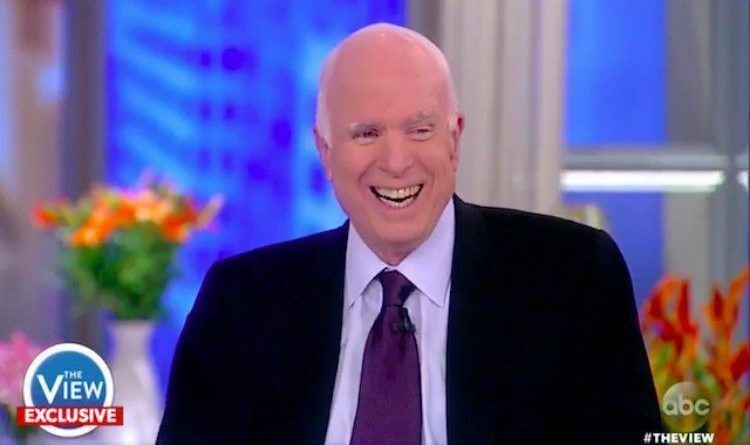 Arizona Senator John McCain appeared on “The View” on Monday morning, where he discussed the ongoing back-and-forth between the president and the senior Arizona U.S. senator. The co-host Sunny Hostin asked McCain “Are you scared?” to which McCain — and the rest of the hosts and studio audience — burst into laughter. “I mentioned that I had faced greater challenges,” McCain eventually replied. McCain, simply laughed when asked if he was scared of the president’s threat last week to “fight back.” He also said he doesn’t consider President Donald Trump a draft dodger, despite appearing to take a swipe at Trump on Sunday by criticizing people who “found a doctor that would say that they had a bone spur” to avoid military service. Funny. People laugh like that when they are nervous. McCain has become a disgrace. He is truly not what he wants us to think that he is. He has the past which proves he is not perfect. He no longer cares for America. He desires to stop President Trump has overshadowed his concern for Americans. Such a sad and pathetic end to a long political career. McCain has become a true liberal. We all know that McCain has to earn the right to call himself an American. The man is obviously a Globalist neo-con working for the deep state every waking hour. He is out of step, he is not thinking like a Republican and he is hurting America while trying to help everyone else in the world. This is why we are not surprised that McCain is still trying to push his agenda through. 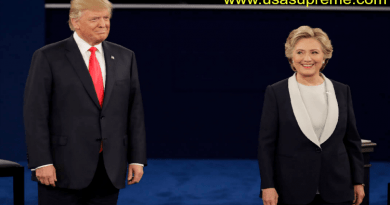 Trump Made Shocking Move About Hillary In Hope That Will Stop Riots And Violence! 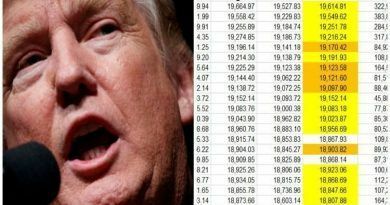 It’s Official Trump’s Stock Market Rally Is Historic – Has Never Occurred in 110 Years! Look At This Numbers! 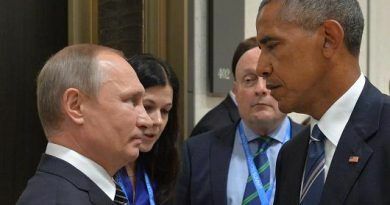 He is so jealous and full of hate that he will never RIP because of all the evil, dishonorable charges he has made and done. He will always be flip flopping around. I thank God he never became President, Would have been a disaster !!!!!. Anybody that appears on that pos circus is not a friend to this country!